Last night was the first signing for Atlanta Kitchens, at Manuel’s Tavern, where friends and I have been meeting Tuesdays since… you know, dirt. Or iced tea, anyway. One more to go this week: Friday night at Heliotrope, a cute little home decor store (248 West Ponce in downtown Decatur, right next door to Sawicki’s and Cakes & Ale). The owners are arranging for some of the featured restaurants to serve tidbits from the book. If you couldn’t make Manny’s, I hope to see you there, 7-9 pm. The last days of my secret identity. It’s me, stepping out of the closet… or perhaps more accurately, the pantry. I’m looking forward to starting this blog, and putting all my reviews and work in one place. Please know that this website is a work in progress, and I’ve only begun loading reviews from restaurants across the state. Even then, my goal is not to post reviews of every Georgia restaurant, just those I think you ought to know about — especially those that haven’t gotten a lot of ink (or… pixels?). Last year, when my Atlanta Classic Desserts cookbook came out, I wouldn’t do signings unless in disguise. Or even TV. At some point, I’ll post the thoroughly cringe-worthy blue-wigged interview I did for Every Day with Marcus and Lisa. 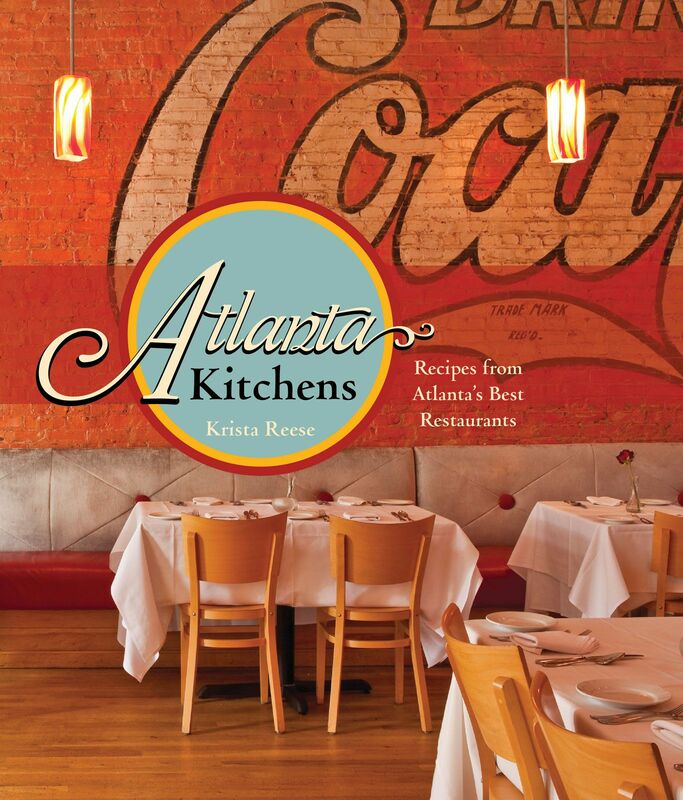 With the publication of my second cookbook, Atlanta Kitchens, my Georgia Trend editor and I agreed: If restaurants didn’t know who I was by now, they likely either didn’t care, or didn’t put together my pseudonymous reservation with the review. When bookstores asked for a signing, I agreed to do them, without extracting a promise I could be in disguise. When the AJC wanted to do a story on the cookbook, I even gave them a choice of photos — including both a Warholized version I’ve used in the past, and something that looked more like me. Bob Townsend’s piece was posted online today, and it’s a thoughtful, lovely story. (Thanks, Bob!) But I haven’t yet seen the print edition, which comes out tomorrow. I don’t know yet if I’ve been outed with a recognizable photo. Whatever the case, all I can think is: Thank you, Lord, for allowing me to stow away the blue wig for good.